I was so excited when my friend Ashley asked me if I wanted to go on a tour of a sheep farm during lambing with our kids. It’s been a goal of mine to tour as many Alberta farms as I can this year (and beyond!) so I was thrilled to cross “sheep farm” off my list. We drove about 45 minutes to Rocky View County in Alberta to visit Bob on his sheep farm, he has 300 sheep. 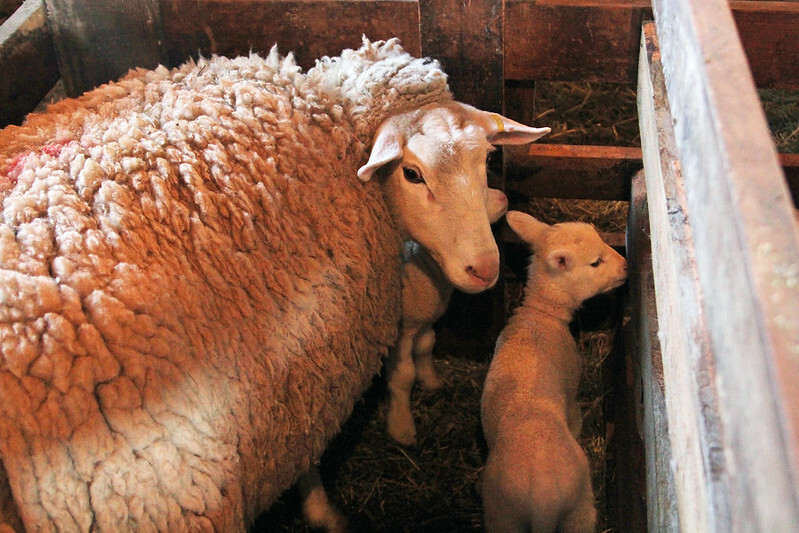 It all started when Bob’s son got some lambs in 4-H, and the rest is history! They lamb 100 ewes at a time, 3 times per year and they raise their lambs to about 60 lbs and sell them for meat. 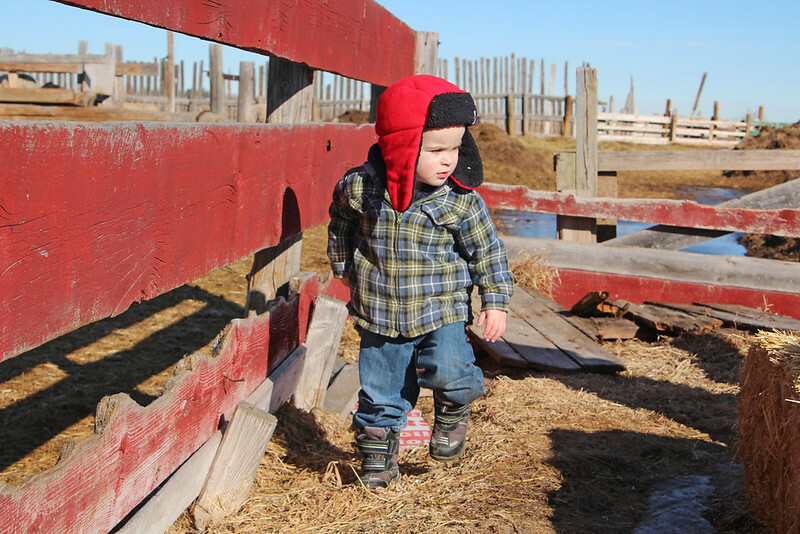 As of 2013, Alberta has 207,000 head of sheep on 2000 farms, and these numbers are on the rise. 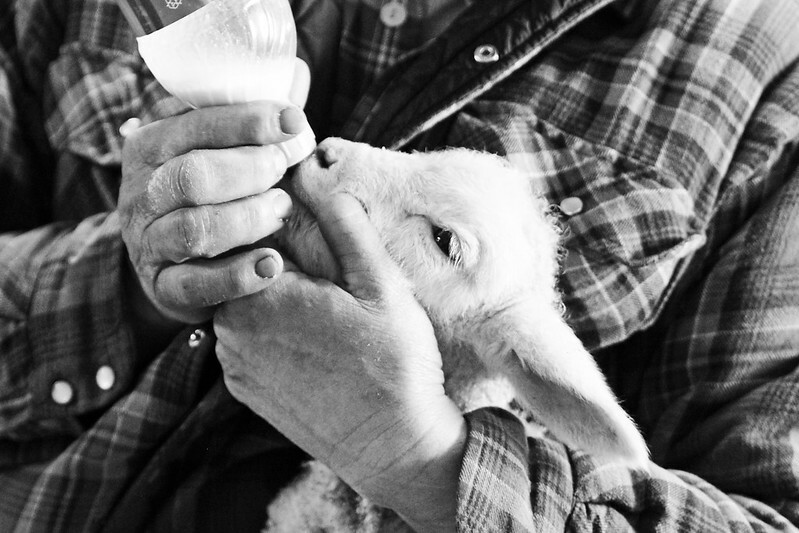 Canada produces 40% of the lamb meat we consume, the rest we import from Australia and New Zealand. Ewes are pregnant for 143 days, or about 5 months. 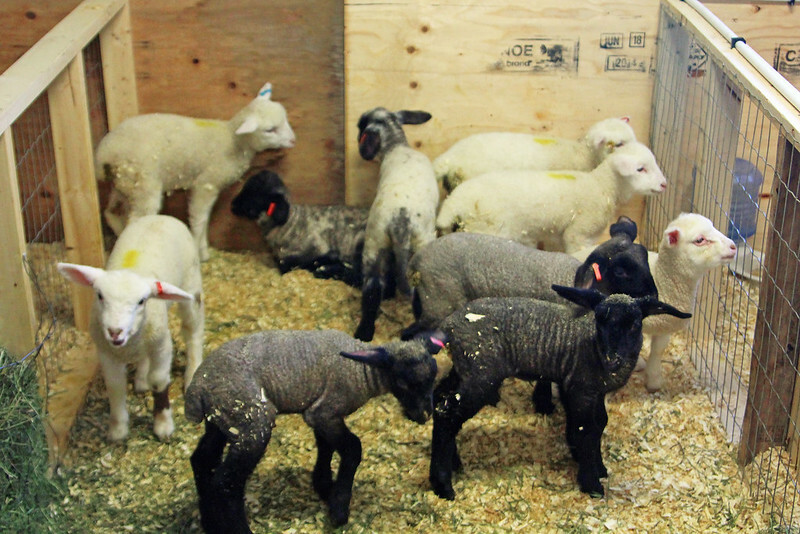 The lambs are kept with their moms in the pens, as shown above, in the barn for 3-4 days so they can bond and get a good start on mom’s milk and then they are moved to a larger group pen to socialize. 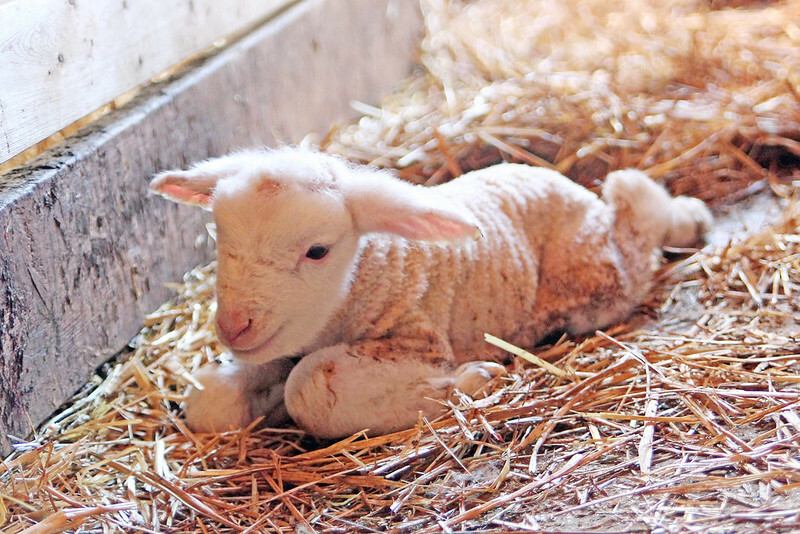 When a ewe has multiples and doesn’t have enough milk for 3 or more lambs, the littlest lambs are taken to bigger group pens and fed a powdered “lamb formula” that is mixed with hot water to ensure they get off to a good start and get proper nutrition. 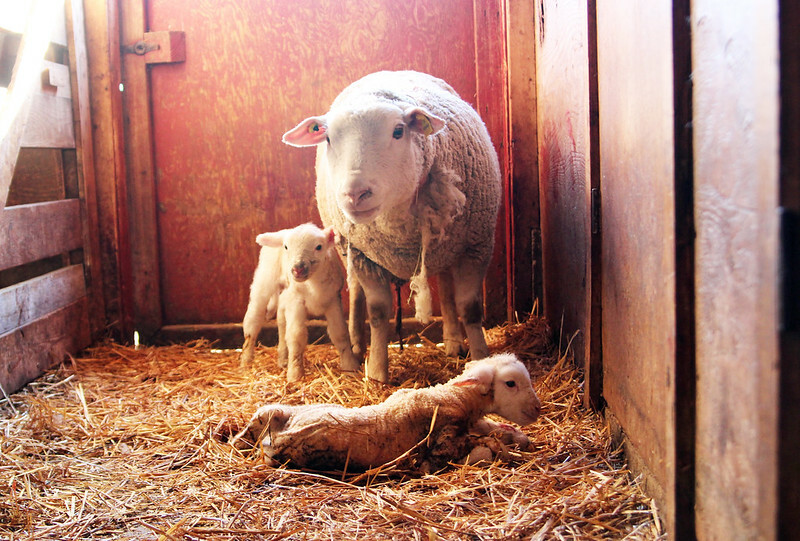 Depending on the breed, ewes have single or twin lambs but triplets are seen quite often too. Bob has seen a few quadruplets and even had a set of quintuplets last year! Pictured above is a new toy on Bob’s farm! 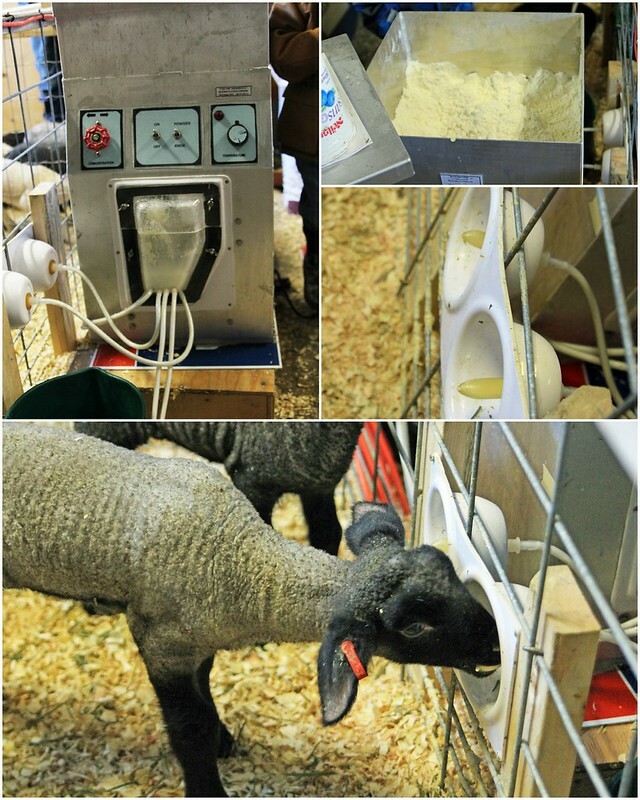 It is a feeder that automatically mixes the powder (top right) with hot water and dispenses it into lines where the lambs can drink freely from in their pens. Bob keeps 30 lambs in this are, 10 in each pen and this feeder can feed up to 60 lambs at a time. 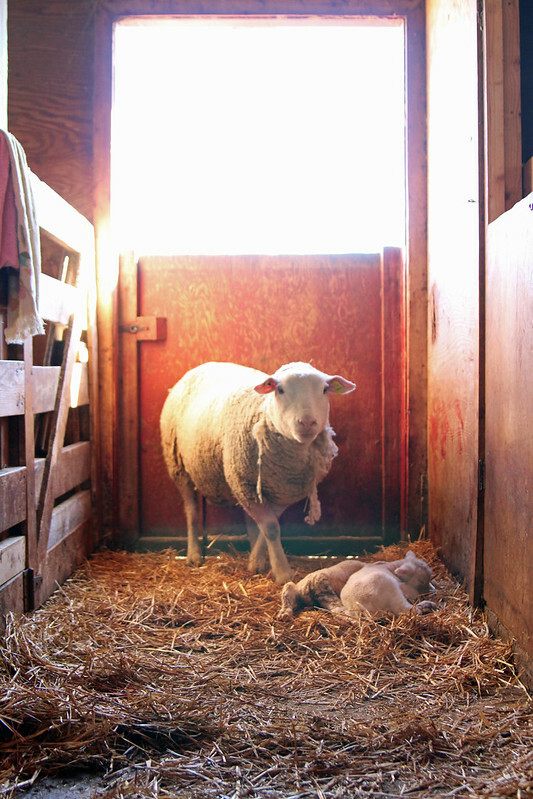 We didn’t get to see any lambs being born, but these twins were not even hours old. 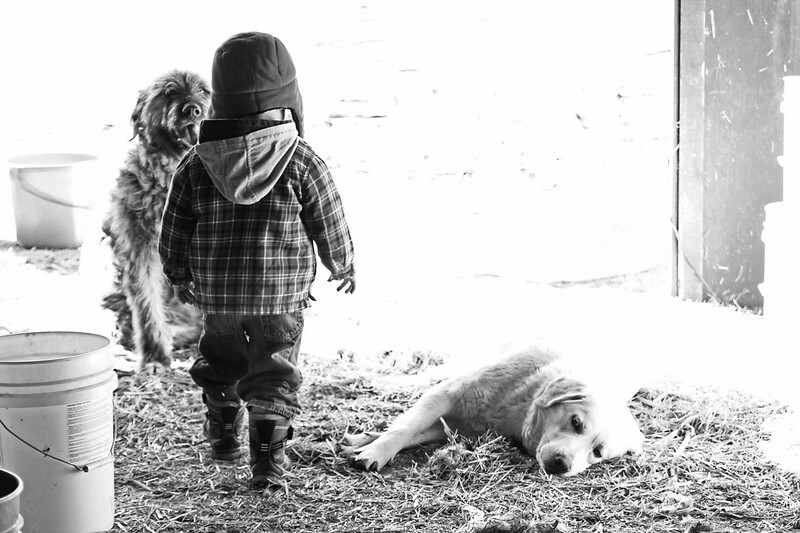 They are born outside and then he moves them into the barn. He told me you can tell a ewe is going to lamb because she’ll lose her mucous plug, her waters will start to show and then she’ll deliver. He has some great “play-by-play” photos on his Instagram account. If Mary had a little lamb, I’m pretty sure he looked like this! 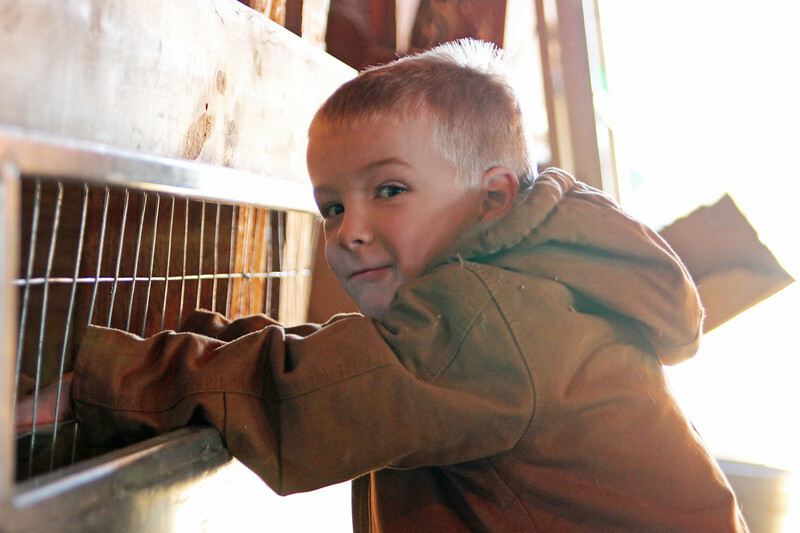 My kids had a blast visiting this sheep farm! It makes us realized how blessed we are to raise our kids in a rural community and have easy access to teach them all about agriculture. 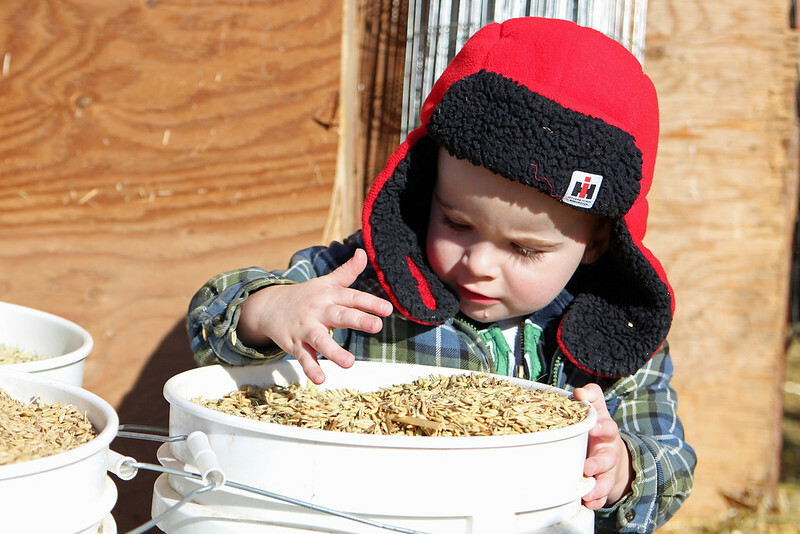 When it comes down to it, they love playing in the mud, the puddles, chasing barn cats, petting the livestock guardian dogs and of course…playing in grain buckets. 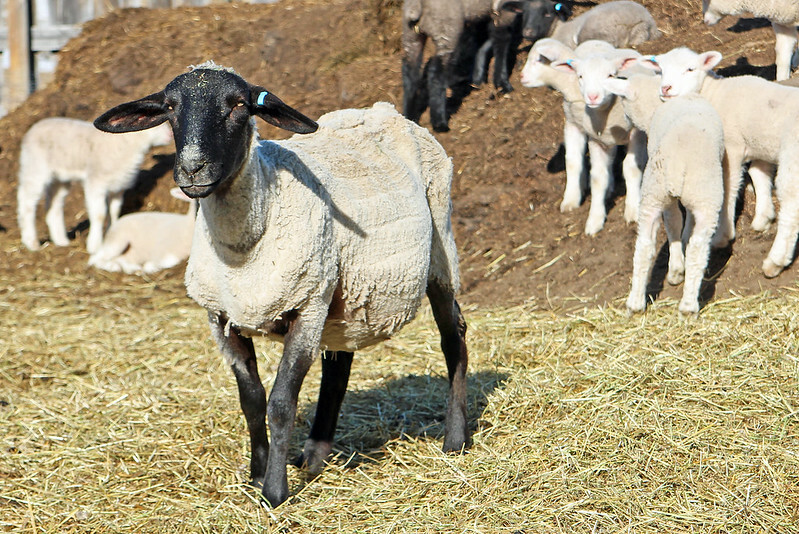 The ewes are fed oats and barley when they are nursing to ensure a good milk production, otherwise they eat hay and whatever’s in the pasture. Another huge thanks to Bob for opening up his barn doors to us and for sharing all of his knowledge and passion. You can follow Bob on Twitter, he is a big supporter of #farm365. I really hope “ewe” enjoyed learning about sheep and lambs 🙂 (Sorry, I had to!). I got all of my info right from the shepherd and also from Alberta Lamb Producers. When is a good time to be able to come and feed baby lambs? How can i find times available and prices for visiting? Where is this farm? This is not an open-to-the-public farm, please do a search in your area for farms that allow visitors, there’s lots! It's lambing season and from all corners of the northern hemisphere, I'm seeing lots of folks sharing their flocks wonderful babies. I'm a soon-to-be icelandic sheep farmer and I'm really looking forward to the time when I get to share in the season's fun and reminders of Spring-time renewal. Love your photos Sarah and thanks for your timely post! Great blog post! Love the photos. Baby lambs are so cute! Looks like a fun time! Thanks, Teresa! I think I had more fun than the kids….I just love learning about this industry, there is SO much to learn! I love lamb and find it very frustrating that it is difficult to source in many grocery stores in Alberta. I believe your stat that 40% of the lamb we eat is Canadian, but you can't tell that by where I live. Until one of my 2 local grocery stores changed owners, you couldn't actually buy lamb in my town; now you can get it, but its only frozen New Zealand lamb. Even when I lived in Calgary, I could not find a reliable source of Alberta lamb. I have considered trying to source my lamb directly from a farmer, but it would take me a long time to go through even half a lamb. I wish there was something other than the choice between big stores (we have 2) or local butchers (we have none) to get my lamb. Hats off to Alberta sheep farmers. They raise a great product I wish I could find more of. That stat is directly from Alberta Lamb Producers, so it is realy, but that's too bad locally sourced isn't available to you! Maybe try contacting the ALP and they can help you out? Kudos to you for wanting to eat local! I checked again today: frozen New Zeealnd lamb, fresh New Zealand lamb, and vacuum packed fresh US lamb. Sigh. It was a pleasure to host your tour and to meet you and your boys.